Alcona's Dominic Howe intercepts a Nic Taratuta pass and goes coast to coast for the lay up. ALCONA, MI — Hillman and Alcona battled it out on Friday duirng Alcona’s Winterfest game. Winterfest is the Tigers’ winter homecoming game. It was a close fought game as Alcona entered halftime with a 22-20 lead. 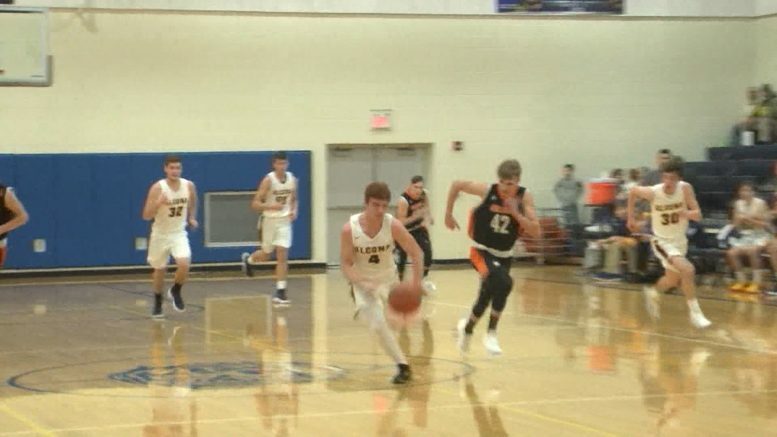 The Tigers held on to the two point lead and won 45-43 against their rival Tigers. Damion Stewart and McKayla LaFave were crowed Winterfest king and queen during halftime.